TEGUCIGALPA, Honduras – Over a month ago, 4 Dominican Republic citizens from the Dutch and French sides of St. Maarten, left on a boat during the night. It is not clear to 721news if they went fishing or were traveling to another island. They were reported missing after they failed to communicate with their families in St. Maarten/St. Martin. Family members filed an official complaint at the Gendarmerie and Dutch side police, but none of these institutions ever requested assistance of the public to help in the search, or at least notified the general public that these 4 men had gone missing at sea. Two weeks ago, 721news spoke with one of the family members of one of the missing men, and he informed us that his brother went missing about a month ago, and they had heard that two were killed, and the others captured in St. Thomas. However, when 721news contacted a media house in the USVI, no official notification was ever issued in that country of what was, at that time, a circulating rumor. 721news understands that no official sea rescue was issued by any of the surrounding islands Coast guards. Over 35 days at sea with no water, no food, the Coast Guard of Honduras got notification that a boat named “Producer” was found with a man on board, who was in a dehydrated condition. The Coast Guard from Honduras launched a sea rescue operation, and located the boat and rescued the man from the Dominican Republic, identified by the Honduran authorities as Ramón Leonardo Santos Montilla. 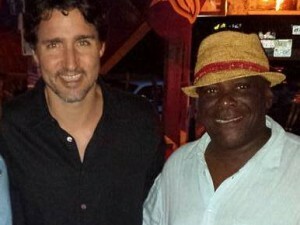 He is one of the four who left St. Maarten about a month ago. There is no official word about the other 3 persons, who were on the boat with him. Media organization EFE reported that the man said his engine lost power, and was floating around until the sea current brought him to Honduran waters, where he was found. Honduran authorities brought him to a hospital where he was treated for dehydration and sun burn. According to international media reports from Honduras, Montilla will be flown back to his native country of the Dominican Republic on a military plane. The international news media never mentioned that the boat had left St. Maarten, and also never mentioned what happened to the three other persons on the boat. 721news received confirmation from a close family member of Montilla, who resides in Sandy ground, Saint Martin, that he was found in Honduras alive. There was no other information on the other resident from the French side, and the two, who according to our investigation, resides in Dutch Quarter. 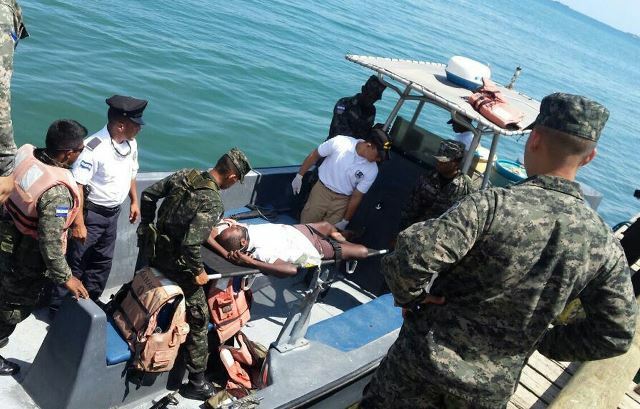 TEGUCIGALPA – The Naval Force of Honduras today reported the rescue of a Dominican who for more than a month sailed on a yacht because of a mechanical failure. The vessel, named “Producer,” was aided by the Honduran Naval Force near the fishing grounds on the island of Guanaja, Caribbean of Honduras, and its occupant, identified as Ramón Leonardo Santos Montilla of the Dominican Republic, was transferred to the island of Roatán, said a report from the Honduran institution. Santos Montilla (44), was transferred to a medical center where he was treated with “serum, rehydration and skin care for the damages he showed when he was rescued,” said the source, who did not specify the date of the rescue, which occurred yesterday, according to local media. The Dominican sailed for 35 days drifting because of “mechanical failure of the propulsion engine,” explained the Naval Force, which did not specify more details of the incident. The Honduran Naval Force indicated that the Dominican will be transferred in the next hours to his country in an airplane of the Air Force of the Central American country.